Natural light photography is, by far, my favorite. Whether it’s indoors or out, it offers an unparalleled beauty that is difficult to replicate. But just like anything in photography, it comes with its own set of learning curves. Let’s cover a few natural light mistakes I’ve made in this journey of understanding how to use natural light. Is there such a thing as too much light? I mean, who doesn’t love those light, bright, airy spaces that show up in magazine spreads and all over our Instagram feeds? They are gorgeous and oh-so inviting. In fact, several rooms of my home come aglow like that, as the late afternoon sunlight streams in. And while I LOVE living in those spaces, I don’t always love shooting in them. The extra light can lend it’s own challenges to capturing a great image. The flood of light can be too much, reflecting off the walls, and lending to a lack of dimension and contrast in my subjects. When encountering a situation like this, make sure you don’t fall victim to flat light. You want to keep your subject in a place where you can see flattering shadows falling across them (they will be subtle but they need to be there), catchlights, and create depth with your surroundings. This image was taken of my daughter in a room flooded with natural light in the late afternoon. There are subtle shadows across her body and I’ve created depth by shooting from a low perspective. This shooting angle allows the bedding in the foreground to blur a bit (creating depth) and the lines in the bedding lead the viewer to her. So then, what do you do if you have too much light and can’t get the depth and dimension you need? You take control of your environment. If that means hanging up a few blankets or curtains to direct your light, then do it. I have some old blackout curtains in my hall closet that I grab and drape over my sheers when I need to make adjustments. They’re just quick temporary fixes if you can anticipate that this is the location where you’ll be shooting. This location was also abundant in afternoon light. In anticipation of that, I hung blankets over the windows to help direct the light before I invited my kids in to dye Easter eggs. This is my family, kitchen and dining room space. It’s one big open area, abundant in natural light. I had a clear vision of what I wanted my light to look like for that easter egg shoot. Rather than have my kids come right in, I took about 5 mins to set it up like this. I closed all the available blinds and pinned up these two curtain panels. I also moved the leather chairs side by side so my background would be a solid dark area and I wouldn’t be able to see the fireplace in the far corner. The pocket of light that was created is where I set up the dying materials. I programed my camera settings and then called them in. I did most of my shooting from behind the bar seating at the counter and standing on one of the barstools to shoot from above them. 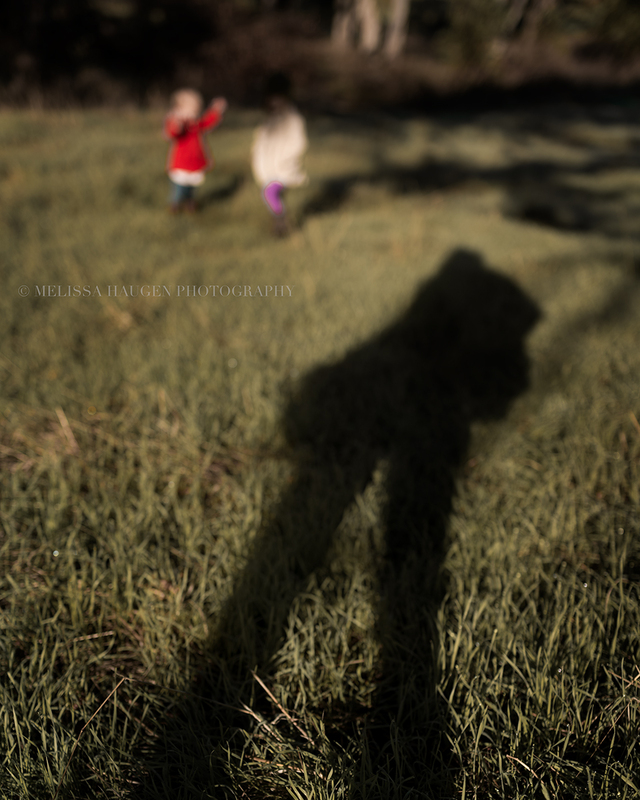 But what about those impromptu moments that arise that you feel compelled to capture? Does that mean you need to rearrange everything to get that light “right”? No. Of course not. That’s not realistic for most people. I’m absolutely certain my kids won’t pause to let me readjust the lighting and then resume play as normal. And that brings me to my next point. In the moments where I can’t anticipate where my kids might be playing and have the setup ready, I do one of two things. I either crank my ISO up in low light because I would rather capture the moment and deal with a bit of noise than not have captured it at all. Or, if it doesn’t impede on their moment, I find myself steering their playtime towards a nearby light source. Often, I will try to get them playing close to our windows in the family and living rooms. Or, if they’re in a low-lit area in the house, I’ll quickly open the blinds/curtains closest to them. Sometimes, I will stand back and wait for them to enter pockets of light which creates a completely different and isolated story. 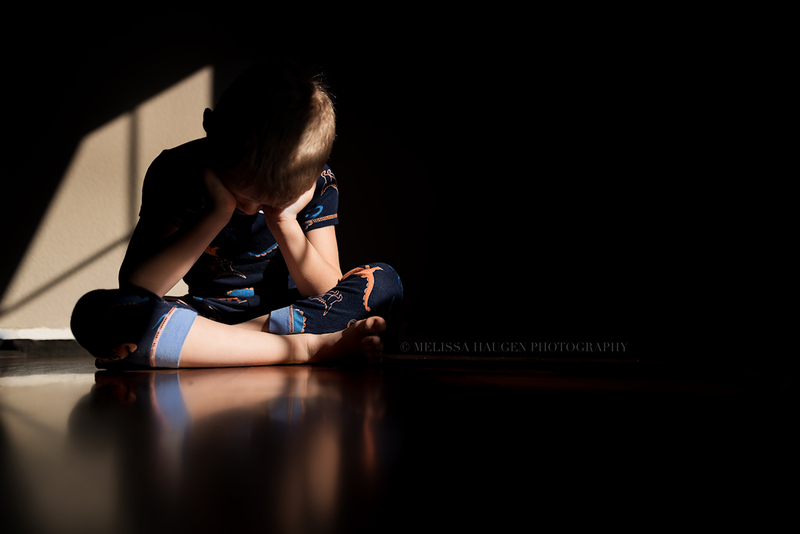 Here, my son was upset about something and sat down to pout in this beautiful pocket of light. It effectively isolated him and made the story completely about him and his feelings in that moment. If you look at my work, you’ll see that I often prefer to have the light to the sides of my subjects. I do this because it creates beautiful contrast and shadows on their faces. The closer the subject is to the light source, the more contrast it creates. The highlights get brighter and the shadows darker. As they step further from the light, it becomes more diffuse and softer. Mixing light sources will often take place inside, although you can occasionally have it happen outdoors (with street lamps, headlights, etc…). If you’re not lacking in natural light and you have the option of controlling your indoor lights- TURN THEM OFF! It’s better to bump up your ISO a bit to compensate for the lack of light than to miss the shot. 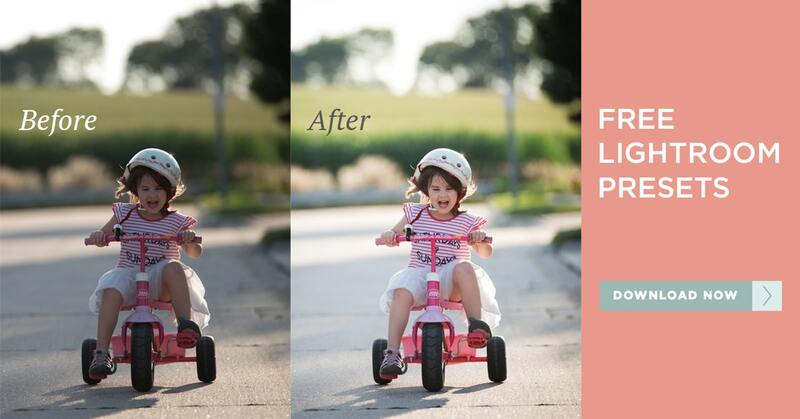 And if you can get it right in camera, you won’t waste your time trying to fix things later in post processing. There are also a couple of problems you will encounter if you leave on those artificial lights. The first is from overhead lighting, which will often cast unsightly shadows down your subjects face. The second problem is finding proper white balance. To put it simply, each light source, whether natural or artificial, gives off a temperature of light. It can either be a cooler (blue), neutral, or warmer (yellow) shade of light. With natural light- golden hour is obviously warmer, whereas midday is more neutral and dusk is cooler. The lights in your home can (and probably do) vary as well. If you know that you need to use those extra indoor lights regularly, opting for neutral daylight bulbs (rated at about 5000 kelvin) may be a good option for you. Keeping your artificial light color consistent will end up saving you time later in post processing by allowing you to create simple temperature gradients to balance the color throughout the image. This is an unedited, straight out of camera image, with both natural and artificial light sources. It is subtle here but you can see the warm light coming from behind her and the cool shaded light coming in the window. Ah, that sparkle in the eyes. They are called the windows to the soul for good reason. Without those catchlights, the eyes come across as flat and lifeless. A simple fix here, is to have your subject turn to face the general direction of the light, until you see that beautiful glimmer shine back at you. If you’re uncomfortable with directing your subject and prefer to be more of a quiet observer, then I would encourage you to be patient and wait until you see that sparkle appear to take your shot. Whether you “catch” those catchlights can make or break an image. 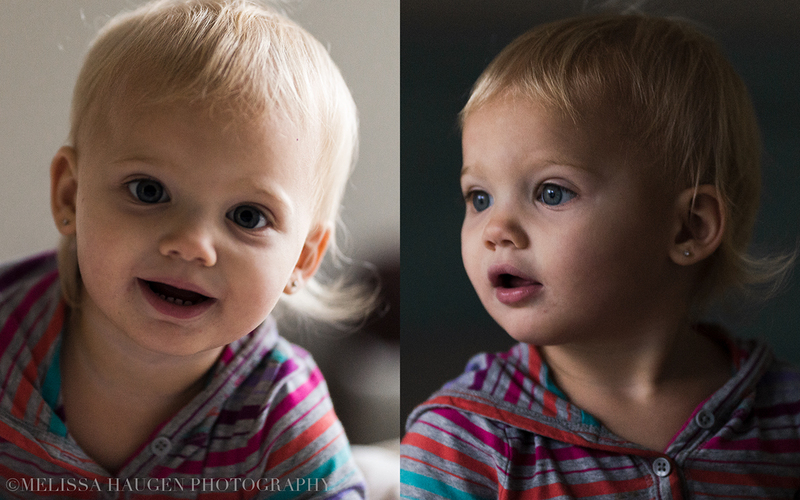 Images taken with my daughter facing different directions; Left- no catchlights. Right- with catchlights. This is the age old photography advice and while it’s definitely not the preferred light for most natural light photographers, some people thrive in it! Shooting midday won’t give you those light and golden images, but they do hold a beauty all their own. The colors come across deeper and richer. The shadows are edgy and fun. Plus, you’re not limited to shooting first thing in the morning or at the end of the day. If you’re not already venturing into the daylight, I encourage you to get out there and try it. A simple piece of advice (and one that I’m embarrassed to admit was too often my rookie mistake)… Be mindful of where your light is coming from and try not to get between it and your subject. In most cases, the light should NOT be to your back. During golden hour especially, you’ll cast long shadows either across your subject or into the frame. Sometimes they work (for shots of my kids, in an “I was there too” type of way) but more often than not, they will detract from your scene. An accidental “I was there too” shot with my girls. This was shot at morning golden hour with the sun to my back. See how long and invasive the shadow is? Oops! As helpful as these tips may be, they’re just that- tips. 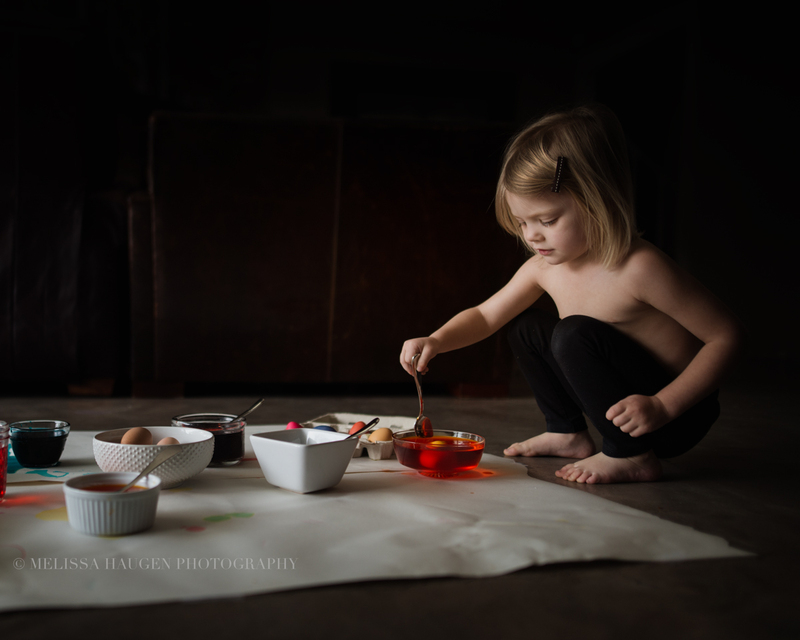 In art, it’s equally important to get out there, bend the rules and play! Look for the subtle things that make the light even more beautiful. The dust floating in the streaming light, both indoors and out, creates a magical effect. Take that f-stop up and create starbursts. 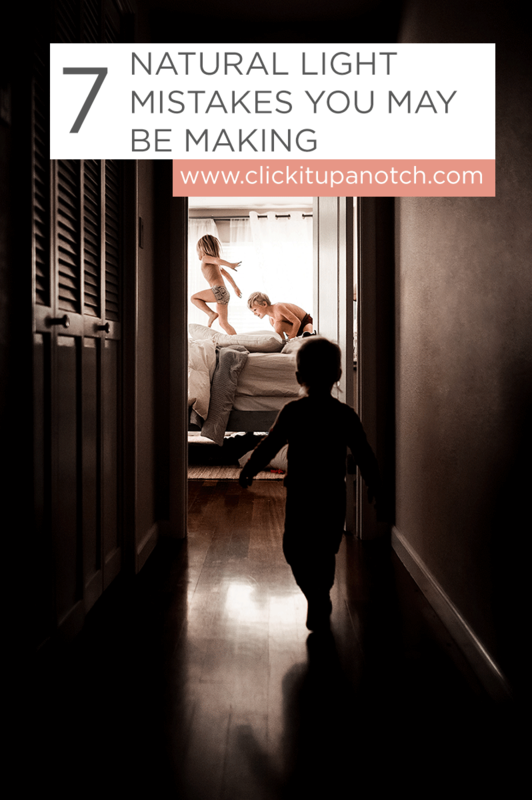 I’ve yet to personally try these suggestions, but I have seen beautiful work created with the use of steam, fog machines, and even baby powder to catch the rays of light inside. 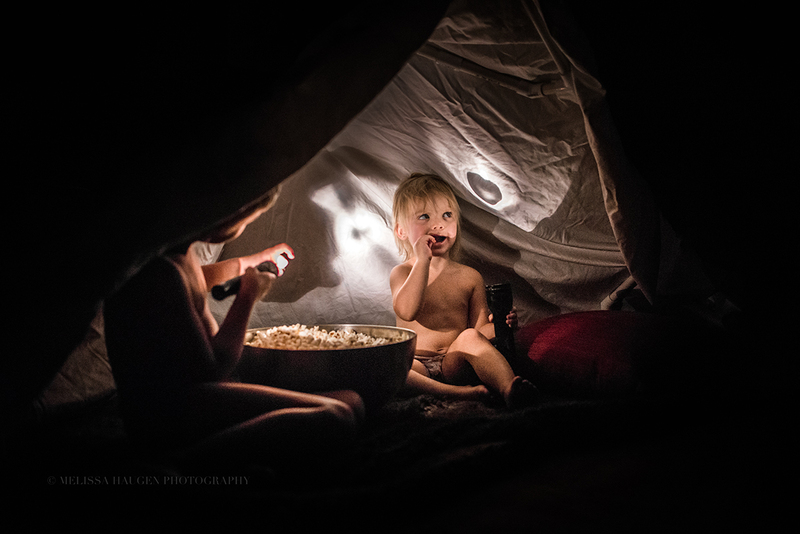 Get outside and play with light in different weather conditions. Fog creates a dramatic and moody environment. Don’t let the rainy days stop you! Backlit rain is beautiful and sparkles in the sky. (At the time of this publishing- you can get a fantastic rain cover on Amazon for under $15). You can even use artificial light to help enhance your story. Things like flashlights, a tablet, or a nearby lamp can help illuminate your subjects in an otherwise lowlight environment. The list of new ways to play is endless, if you can think of it, then you should try it! They were using artificial light here which enhanced the mood and story in an otherwise extremely low light situation. We all see things differently which makes this medium exciting and full of potential. Have fun, get out there and show us how you see the world! 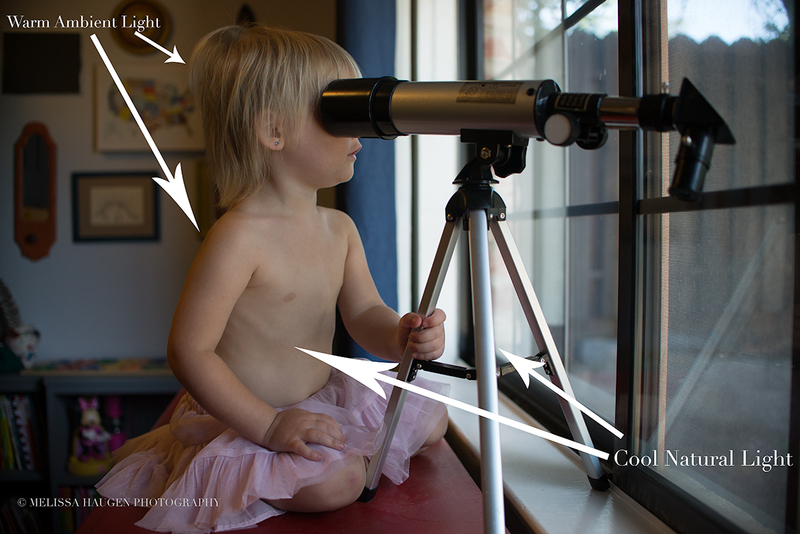 Learn the EXACT techniques that I use everyday to photograph my kids. 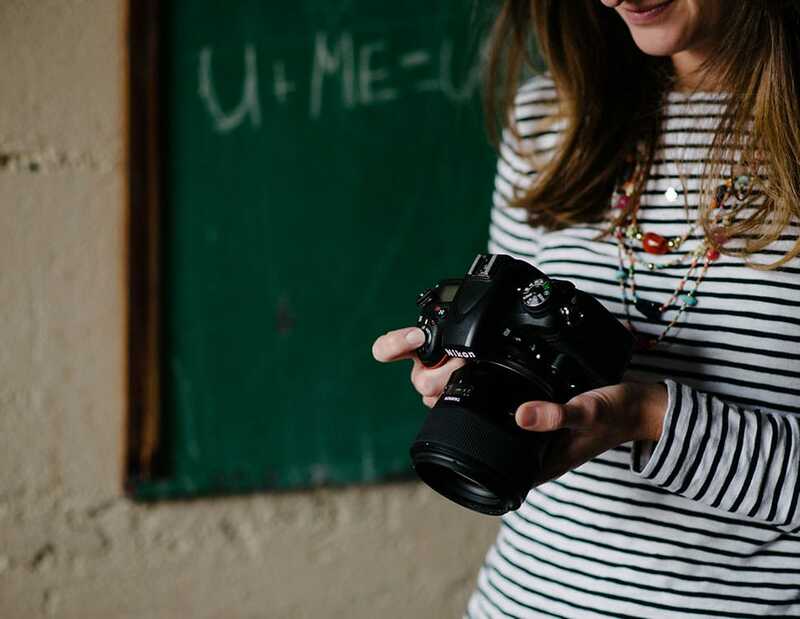 Stop feeling frustrated with your DSLR. 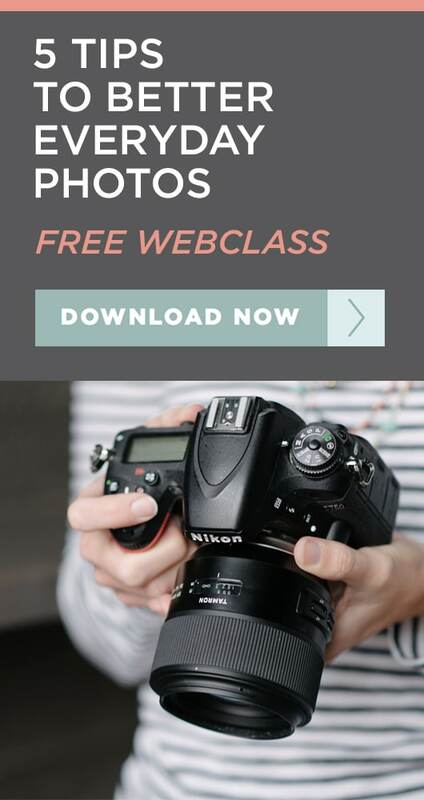 Let me help you with this FREE webclass. Awesome work here, Melissa! You’re a treasure trove of experience and patience…which produces the sort of images you shared. Thanks for sharing! Thank you very much PJ!! thanks so much for your article! would you be able to take a picture of the blankets over the windows and perhaps a layout of the room where your child was dyeing the eggs so we can have a clearer picture of what you mean? If i were to block my windows with blankets, I would be in a darkened room. Great question Heidi! I’ll work on a pullback this afternoon and let you know when it’s up! Just wanted to pop on and let you know that the pullback is up! I hope that helps! Good Article! Any advice on low light indoor settings? I have played around with mine SO much and looked into what settings to use, and I can’t get pictures like you have there! When I turn up the ISO its way too grainy. Hey Christa! Your settings are very dependent on the amount of light you have and what gear you’re using. 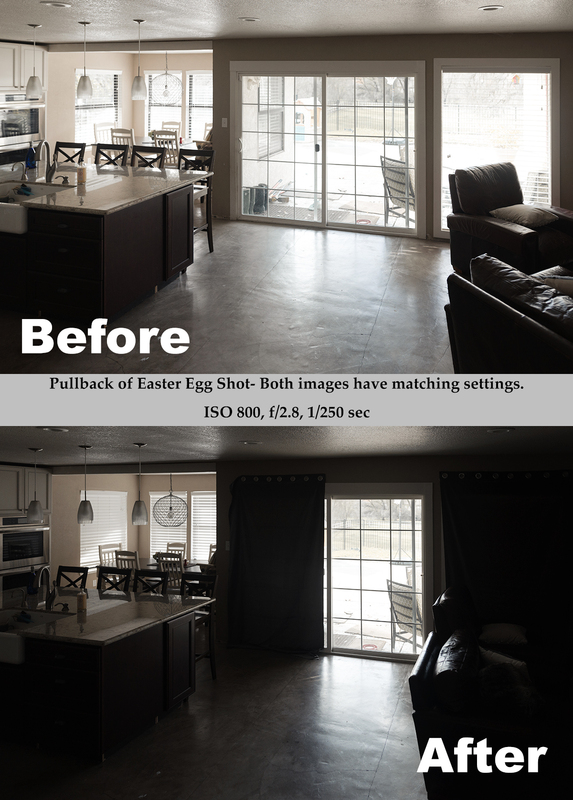 With low light in my home, I generally start with an ISO around 1600 and adjust from there. I shoot with my Nikon D600 and I know if I push my camera past ISO 3200, I find the digital noise to be too much for my liking. If I get to this point and still want the shot, I will use a supplemental light source. However, when I have used the D700 and D810, I can comfortably get to ISO 5000 without an issue. I’m not sure what you’re shooting with but I would suggest playing around with a single subject and change your ISO settings from low to high to see what happens. You’ll get a good feeling for your stopping point when you get them on the computer. If you’re finding that you can’t get a high enough ISO to capture the images you want, I would suggest one of two things. First- look into a new body that can handle your lighting conditions. Renting is a great way to test this ahead of time. Second (and the less expensive route)- you can supplement your natural light with something like an Ice Light. Placing that in the window can help mimic natural light and make it easier to shoot without compromising quality. I hope that helps! I love this article! Simple and yet key to taking better everyday photos. So, when it’s still relatively dark inside, or for example, the last photo in this article. Do you spot meter on the person who is under the light to get them best in focus? In addition to cranking up the ISO? I just don’t want my pictures so dark you can’t even see what I’m trying to focus on. Thanks. Probably easier than I think! Good question! I absolutely do spot meter on the brightest part of my subject. For my kids- I generally like to see my meter at a +1 position for correct exposure. I will adjust my exposure triangle accordingly until the light meter is where I want it. However, if my meter reads well but I find that I’m blowing important highlights in other parts of my frame, I will drop my ISO and intentionally underexpose until those look good. Checking your histogram and turning on the “blinkies” on your view finder can help with seeing where highlights are blown. Does that help? A note about the exposure triangle: I tend to keep my F-stop close to wide open (the lowest numbers I can generally) to allow the most light possible to enter my camera. This only leaves me with the ISO and Shutter Speed to play with. 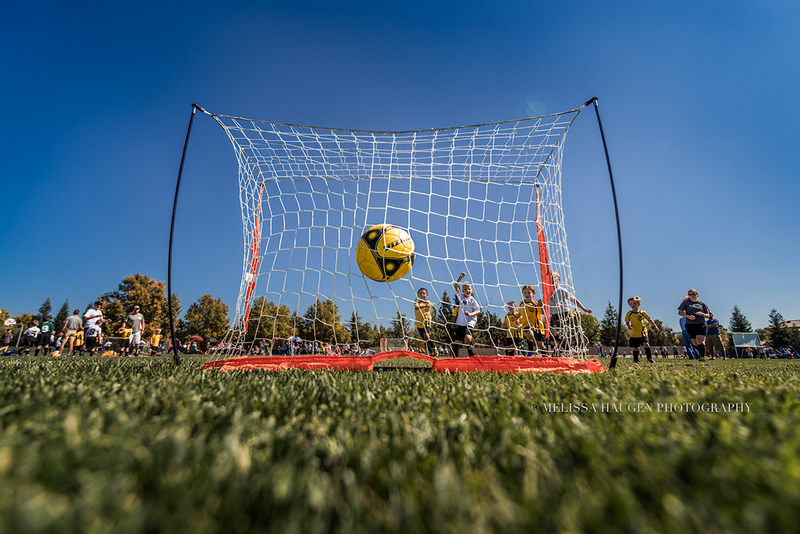 My kids are movers and I know that I normally like to keep my shutter speed at 1/250 or higher. In low light, I break this rule and try to hand hold as low as possible without getting camera shake or motion blur. Once I’ve found my sweet spot for that, I will start adjusting my ISO unit it looks right. If I find that my ISO needs to be lowered quite a bit, I’ll balance that by increasing my shutter speed so I don’t compromise the shot with movement and maybe just drop the ISO a bit. The whole triangle is a balancing act. Play with it, have fun and see what works well for you! thank you Melissa – great article! I also struggle with having too much light in our house! How did you pin up/hang up the blankets to reduce some of the light coming through the big glass windows? I haven’t found a good way to hang these up temporarily. Our glass doors are pretty wide and tall! Thank you. Olesya- The curtains aren’t too thick or heavy so I used thumb tacks to hold them up temporarily. Thanks so much for these tutorials, I’ve only read the 1st one, but plan to read all 4. I have a great window in my studio, but is it too great. your tips will help me understand that better. Great tips! Do you have advice for home photos, when you have windows with panes? The pieces of wood always mess with the photo. :( I want the natural light, but it’s hard. Thank you. Thank you Melissa for your advise. Light is really an issue in Photography. Excellent suggestions. I particularly like the #6 picture (with your shadow in it). It reminds me of a Frankenstein type of scene in the movie “The Spirit of the Beehive”. How i can mitigate situation of dark faces even in day light. Below is the scrnario. Lets assume object is standing in shed but you also want to cover depth of field in your photo shoot.. When i shot some photos then i have faced problem of dark faces but depth of field was good. And when i decrease the shutter speed or other setting to make the faces clear , but when i did the changes then depth of field was so bright and all natural color was gone.